Today we have another episode from Alf’s diary as he learns French in Nice. In this episode Alf talks about his family and about his daily routine. He also admits to being a bit embarrassed about his daily routine when he hears what the other learners have to do. His life is a bit more relaxing, to say the least! 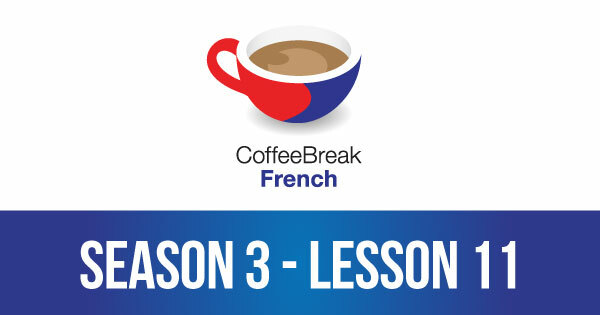 Please note that lesson 11 of Season 3 was originally known as lesson 311 of Coffee Break French. We have renumbered the lessons of each season as lessons 1-40 to make things more simple for our listeners. I just love Coffee Break French but this weeks is a little mixed up here and on I-tunes Can this please be fixed. Debbie, I’m not quite sure what you mean. Could you let us know in what way this week’s episode is “mixed up”? We’ll be happy to change or fix whatever is necessary. #311, downloaded from iTunes, stops at 2:03 and returns to 0:00. Clicking “play” again and then clicking some time past 2:03 allows one to hear past the 2:03 break. I deleted #311 and redownloaded it from iTunes, and the flaw is still there. Also, the redownloaded version for some reason has a blank description field. Thanks for answering but Ronnie summed it up perfectly. Love to see this fixed and keep up the good work. We’re not quite sure what’s going on here as we can’t replicated what you’re describing: the lesson plays correctly with the flash player on this page and when we download it into iTunes. 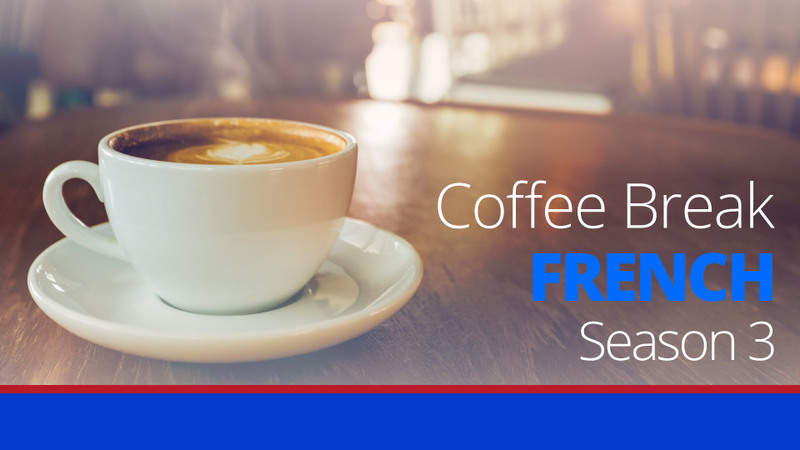 It is possible that there was a blip with the hosting solution we use for the free podcasts – this has been known to happen. When did you try downloading the file again Ronnie? We tried this yesterday and it worked perfectly. If the problem persists we’ll try to come up with another solution. Mark, I redownloaded (in iTunes) the file yesterday morning, and now again this morning, with the same effect. When I play the file embedded on this webpage, it plays just fine. However, when I hold down the Control key (Macintosh) and click on this page’s ‘download’ link, thus saving the file to my desktop, then upon opening the downloaded file (which plays in iTunes), the 2:03 break is again there. I tried playing #311 in iTunes on my wife’s computer, and the break was there also. Mac OS X 10.6.6, iTunes 10.1.1. For what it’s worth, I’m in the US; aren’t the US iTunes store and the UK one separate sites? In any case, as a non-paying customer, I’m content to just click past the 2:03 mark in order to hear the last 16 minutes. I could email the corrupt mp.3 file to you, or help any other way I can, but barring that, I’m happy enough. I just re-checked this page and i-tune and still having trouble. This is the first time I have had trouble. Thanks for all the information. I’m not sure what’s going on because I can’t replicate the issue. I’m also a bit stuck at the moment because I’m travelling and don’t have access to all the original files. I’m about to put up lesson 312, so please let me know if you have problems with this. I’ll update things as soon as I can. #312 plays for me without incident. I’ve seen this before on the Mike Tech Show podcast from Philadelphia, PA USA. It was caused by the KB/S speed being changed. Other players don’t care about this parameter and play just fine. Another suggestion . . . . in any case, I would recommend comparing the MP3 Tags of this ‘problem’ episode with an early episode that everyone could play w/o problem.